Representation of a major financial institution in multi-billion dollar lender liability case against client and other lenders arising out of the Chapter 11 bankruptcy of a public cable company which resulted in a settlement for a fraction of claimed damages. $10.5 million judgment in favor of investor defrauded in Ponzi scheme. $1 million judgment for an apparel manufacturer in copyright infringement action. Dismissal of action against major financial institution challenging statutory authority of governmental entity to enter into derivative contracts in connection with an industrial bond issue. Case settled with no payment from financial institution and agreed judgment that derivative contract was valid and enforceable. Defense verdict in jury trial in favor of financial institution in action alleging lender liability and fraud in connection with a failed commercial development. Summary judgment in favor of a financial institution in suit alleging fraudulent inducement to enter into derivative interest rate swap contract. Summary judgment in favor of employer/bank in action arising from alleged fraud by employee/financial planner in "selling away" case. Numerous pre-trial dismissals in favor of lenders in actions alleging wrongful conduct in connection with foreclosures. Successful defense of broker-dealers in multiple arbitrations before Financial Institution Regulatory Authority (FINRA). For more than 25 years, Garry has represented plaintiffs and defendants in a wide-variety of contested, complex litigation. In recent years, Garry's practice has focused on the representation of financial institutions and other businesses in the areas of financial services, intellectual property and construction. 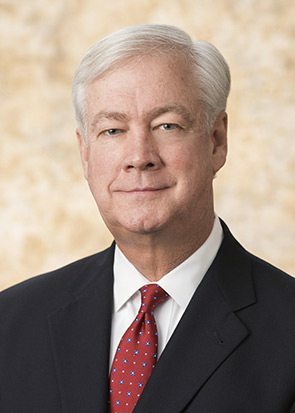 After graduating from Vanderbilt Law School in 1987, Garry joined the firm of Farris, Warfield and Kanaday, where he was named a partner in 1994. Garry practiced there until the firm merged with a regional firm in 2001. Garry joined Burr & Forman in January of 2015. Garry is an experienced trial lawyer. Early in his career, his practice was varied. It included defending countless personal injury cases, defending Tennessee counties and municipalities in civil rights and tort actions, and defending banks against lender liability suits. This early experience has served him well throughout his long career. Garry has tried more than fifty (50) cases to judgment. In recent years, Garry’s practice has been focused on the representation of financial institutions and other businesses in the areas of lender liability, financial services, intellectual property and construction. He enjoys working with clients to try to resolve disputes when it is possible, but is not hesitant to take cases to trial when settlement is not in his client’s interests. When he is not busy at work, Garry enjoys travelling, golf and spending time with his wife and three children.